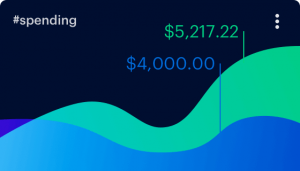 ﻿ How Much Does It Cost to Develop a Personal Finance App like MoneyLion? 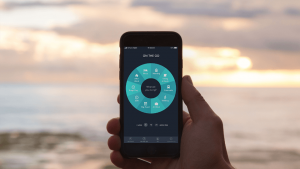 This blog is for financial technology startups and Entrepreneurs who want to create a finance budget app, which can help users to manage their finances. Herein, we have rounded up the top features of MoneyLion, a personal financing app, and its development cost. From getting an update of football scores to booking the taxi on-the-go, this is all get done with just one click through our smart devices. We do get instant updates no matter where we are. When it comes to managing money, from bank account management to complicated financial planning – this is a little that we can’t do while on the go. Luckily, there is a solution available to manage the finances better with the help of personal finance apps like Mint, Venmo, Acorn, Level Money lending app, Goodbudget, Wally and MoneyLion. In this list, we are going to discuss MoneyLion app. MoneyLion mobile app does provide solutions to tackle your own saving crisis. It is more than budget-tracking, plus personal finance app, Super helpful, isn’t it? Therefore, the personal finance app, MoneyLion helps Americans to tackle the rising burden of bank charges, plus tackle the challenge of fees of NSF i.e. non-sufficient fund and overdraft fees. 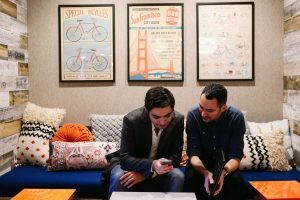 In addition, “The best personal financial app – MoneyLion is using technology – iOS’11 ARKit to offer an augmented reality feature, called as Grow Your Stack”, according to the Tearsheet. Moreover, the recent report of TechCrunch says, “the best budget app for android, MoneyLion has raised $42M in Series B funding. It brings total equity funding $67M since its emergence year 2013”. Talking about the personal financing app, in brief, MoneyLion is an all-in-one platform for finance-related challenges. Also, the user can connect his bank account and credit card to know more about the credit scores, and can access loans to help and improve the fluctuation in monthly income and expenses. From on-time payments, credit age and credit inquiries, these features within a personal finance app – you can provide your mobile app users one-stop solution of credit monitoring. In order to check the free credit card monitoring, user need to fill essential credentials in the form to confirm his identity, including First/Last name, Home address, City, State, Zip Code, Last 4 digit of SSN (Social Security Number) for bank-level encryption to secure the data, and Net monthly income. 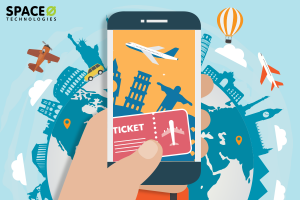 By providing the feature like credit card monitoring, which is included essential sub-features further – you can allow your mobile app users to track all expenses. Another pivotal feature, which you need to include to provide your app users is – personalized money tips. With this feature, all your app users need to link their bank accounts. By doing so, it enables to give custom recommendations on how to make your own money work for you. By analyzing user’s unique spending patterns and provide personalized money tips on how you can save money every day. In order to offer your app users to earn points and the rewards to encourage them to turn out their shopping habits into additional discounted merchandise. 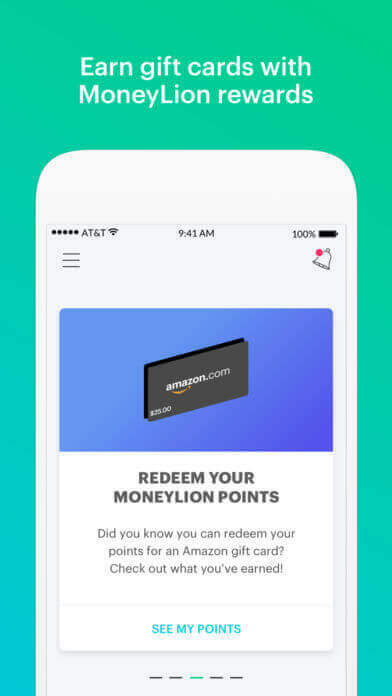 In the personal finance app like MoneyLion, you can offer different rewards such as cash back credits, and to earn points for spending through credit cards. In this way, you as a financial technology startup can encourage your app users with lucrative offers in terms of features within the app. Hence, the app users would find out a new and unique way to use the personal finance application like MoneyLion. And, likewise, your future personal budget app will be also providing the same features to the app users. So, aforementioned are the top features, which you can add if you are planning to develop finance app like MoneyLion, allowing users to improve their financial health with above-mentioned free tools. 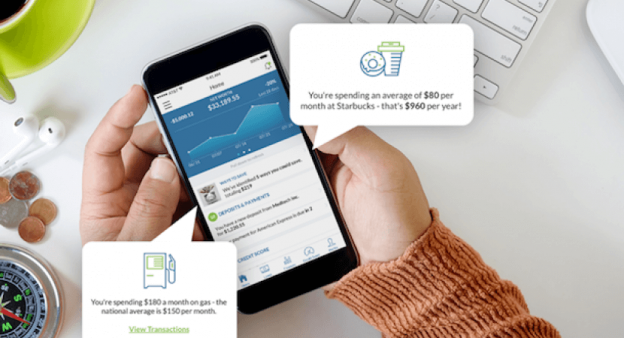 Before going through the cost of developing personal finance app like MoneyLion, below we’ve compiled top 7 personal financial apps. 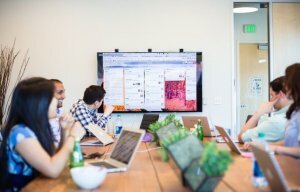 How Much Does it Cost to Develop Finance App Like MoneyLion? Note: At first, it seems easy to develop an app like MoneyLion. But, it’s not. They have continuously worked and improved their application, day by day. They have understood the problems of their end users. Overall, they are solving a real-life problem. If you are planning to make a personal finance app like MoneyLion, we encourage you that you validate your idea. Validate if it’s solving a real-life problem or not. Your first purpose should be to help your end users like MoneyLion does, not just to make money out of your app. In order to know the cost of development, we approached our Business Analyst team. The Business Analyst team spent 2 to 3 hours in order to craft the essential features of an ideal personal finance app. Here are the features, which are listed below, please have a look. 3 DashBoard The User will be able to add multiple bank accounts. All the sensitive data related to the bank will be encrypted. 4 Track Credit Scores Track Spending, Savings, and Credit Score. All the data will be fetched from the linked bank accounts. 6 Loan Payments The loan repayments will be reported to concerning authorities. mobile number, Social Security Number, driving license image. 1) When the new update is received in the Home section. 2) When any activity will occur in the bank account, which is linked to the app. 10 APIs for Development API for fetching the list of all the banks of the region in which mobile app is published. To give you the rough estimation, it takes around 750 hours for one platform. As a mobile app development company, we analyzed the top features of MoneyLion app. We have created a sheet, which includes in detail information of features and its corresponding development hours. It’s free. But, you have to take a step. Fill out the form below to know about the cost of developing apps like MoneyLion, and ask us for the sheet. We will send you the complete detail within 16 working hours. The consultation is absolutely free of cost! This page was last edited on January 21st, 2019, at 6:03.